Sony has officially confirmed a leak from earlier this month. 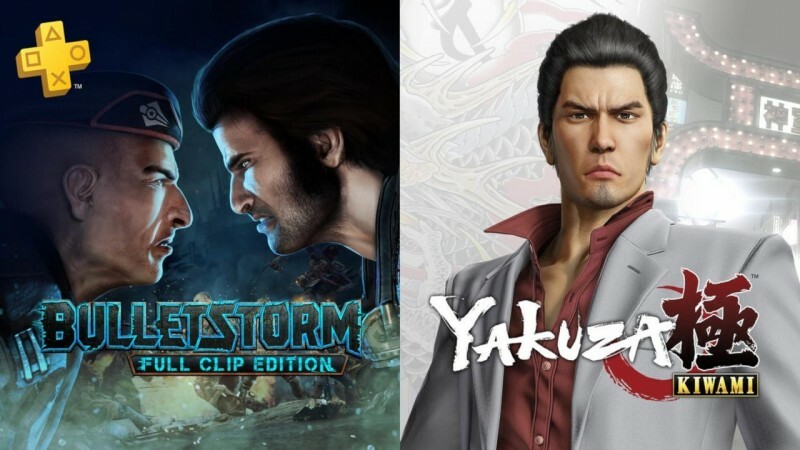 Yakuza Kiwami and Bulletstorm: Full Clip Edition are November’s free PlayStation Plus headliners. In Bulletstorm, you play as a disgraced ex-assassin Grayson Hunt on a journey for vengeance and survival. In the end, if you can’t have both, will you choose revenge over saving your crew? In Bulletstorm: Full Clip Edition, this over-the-top shooter is remastered and includes all existing Bulletstorm add-ons plus exclusive content. Also, Game Informer‘s Jeff Cork seems to really like it. The second free title for November, the remastered Yakuza Kiwami, throws you right in the middle of the Japanese underworld as Kazuma Kiryu. Kiryu, formally a ranking member of the Yakuza, has been released from prison into a gang war. His family ties severed, Kiryu must find the answers to what happened alone. Strangely, Jeff Cork also enjoyed this game, giving it an 8.5, which leaves us wondering if Sony is following Jeff Cork’s preferences with particular interest. If you’re reading this, Sony, he wrote a very positive hands-on preview for Red Dead Redemption II. Just saying. These games will be available starting November 6, which means there’s only a week left before the free October games are gone. PS Plus members can also pick up the H1Z1: PlayStation Plus Blueshift Pack for free until November 13.